Summer often means more time is spent outdoors in the sun which can have many positive effects on the body and mind. It regulates sleep cycles, stimulates the body’s production of vitamin D, and enhances feelings of well-being. However, there’s also a downside: it can lead to wrinkles, age spots, and skin cancer so it is important to remember a few simple steps to reduce exposure to the sun’s harmful rays. According to cancer.net, sun damage builds up over time and therefore it is important to use sunscreen every day, even if it’s cloudy (yes, even in the UK!). •	Choose a broad-spectrum sunscreen that protects against both UVA and UVB radiation. Make sure it is water resistant and has a sun protection factor (SPF) of 30 or higher. 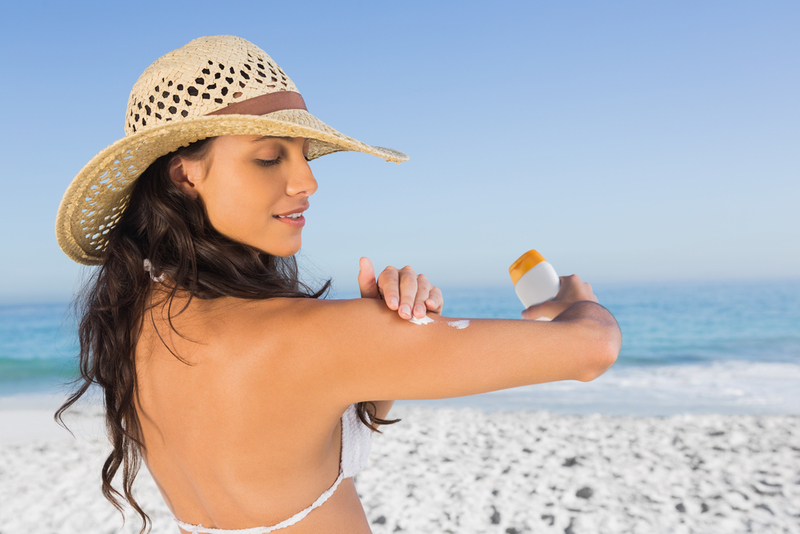 Other types of sunscreen may help prevent sunburn, but they will not protect you against the damaging UV rays. •	Use a lip balm or lipstick that contains sunscreen with an SPF of at least 30. •	Apply your sunscreen generously 15 to 30 minutes before going outdoors and reapply every 2 hours. Reapply every hour if you are swimming or sweating. •	Limit sun exposure between 10:00 AM and 4:00 PM, when the sun’s rays are the most intense. Practice the shadow rule: if your shadow is shorter than you, you should find shade. •	Wear sunglasses with 99% to 100% UV absorption. They will provide optimal protection for the delicate skin around the eyes from wrinkles. They also help prevent cataracts and macular degeneration, the leading causes of vision loss in the elderly. •	Be even more cautious if you are taking medications that may make you more sensitive to the sun. These include specific types of antibiotics, anti-inflammatories, antifungals, blood pressure medications, and chemotherapies. •	Keep babies younger than 6 months old completely covered and in the shade. •	Avoid recreational sunbathing and forget about tanning booths. For some people, the UVA rays in tanning booths can produce a tan faster than the sun can. That’s because the rays are more intense and damaging.